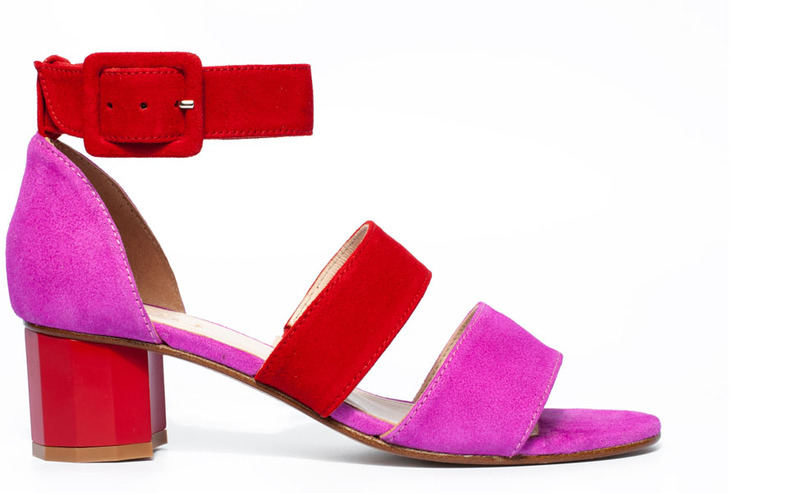 Bicolor sandal in fuxia and red suede. Geometric 4’5 cm heel. Leather sole. Use a pencil eraser for scrapes or difficult stains. For oil or grease stains, press downward on the stain with a cotton cloth to absorb and dry. Do not rub, as this will spread the stain. To keep the suede in good condition brush occasionally using a soft-bristled brush.